But you have no idea what those things are, or worse… You know what you need to do, you just have no idea where to start! The #1 thing I hear from followers is that they want a clearly defined, STEP by STEP path to witchcraft. Basically, you want to go down a list, check off each task one by one, and watch your magic GROW as you GO! The truth is, there is no RIGHT way to go about practicing witchcraft. Or rather, the right way, is YOUR way. So, how do you figure out what that is and get your magic on track??? I have created this course with the newbie witch in mind. It is a synthesis of my own experiences and the experiences of other witches in my community and the integration of several external resources. On this journey you will wander through self-discovery and analysis, theories of magical mechanics, basics of crafting a magical working, exercises in meditation and focus, tips for integrating magic into your daily life, and more. If you love to read, the blogs are definitely for you. Each blog post listed below includes a worksheet or guide that is designed to help you take what you learned a bit further so you can fully understand what the text is trying to teach you. To access these worksheets, you will need to sign up for the Mumbles & Things newsletter (fill in the form below). As a member of my community I promise to only share things with you that you want to know about. If—for whatever reason—you no longer want to hear from me, you can always unsubscribe from the list. No hard feelings. Once you are signed up you will receive an email for me, Maggie, with the subject line "Welcome to the Members Only Club." Within this email is the super secret password to the top secret vault of resources I have created to aid you on your journey. 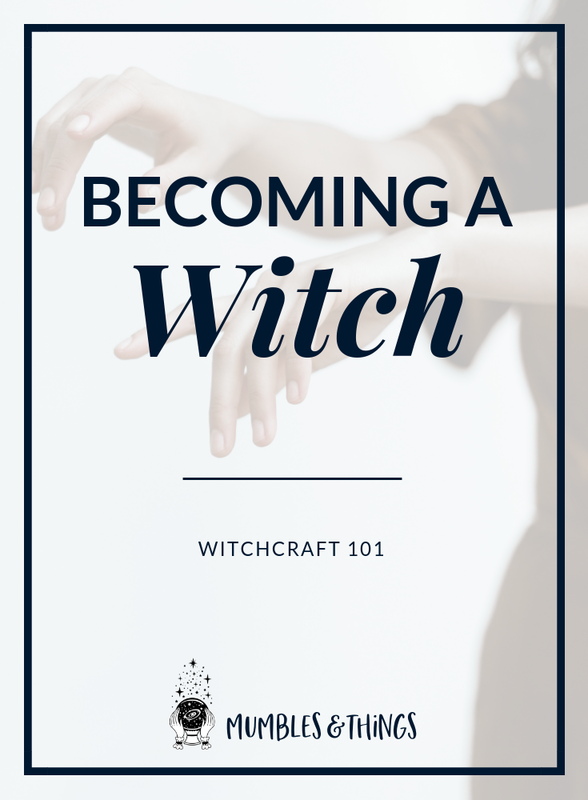 This includes the worksheets designed for Witchcraft 101! Okay, cool! That's one way to do it. Below you can find link to each of the blog posts in the Witchcraft 101 series, all consolidated into one location. I did that for you! Because I want it to be oh-so-easy for you to start learning to channel your personal brand of magic. Ready? Finally, if you are more of an auditory learner and prefer to listen to information instead of reading it, you may want to check out the Mumbles Academy. There you can register for your very own account and access Witchcraft 101. This is the exact same content seen here on the blog only it's in video form (Worksheets included). It's kind of a choose your own adventure type of situation. The exception being that you end up in the same place no mater what you choose! I'm so excited for you! Leave a comment below to share your progress and experiences.